Speaking at the company's Samsung Developer Conference 2017, Samsung's President of Mobile Communications Business DJ Koh announced that the company will be moving to unify its IoT devices and services under a new SmartThings brand. “At Samsung, we’re constantly innovating in order to deliver smarter, connected experiences for our consumers. Now we’re taking a big step forward with our open IoT platform, intelligent ecosystem and AR capabilities,” he said. “Through an extensive open collaboration with our business partners and developers, we are unlocking a gateway to an expanded ecosystem of interconnected and intelligent services that will simplify and enrich everyday life for our consumers." The company say that through the new SmartThings Cloud, developers will have access to a single cloud API across all SmartThings-compatible products. Samsung say this will empower developers them to build more connected solutions, knowing that they can be brought to more users. 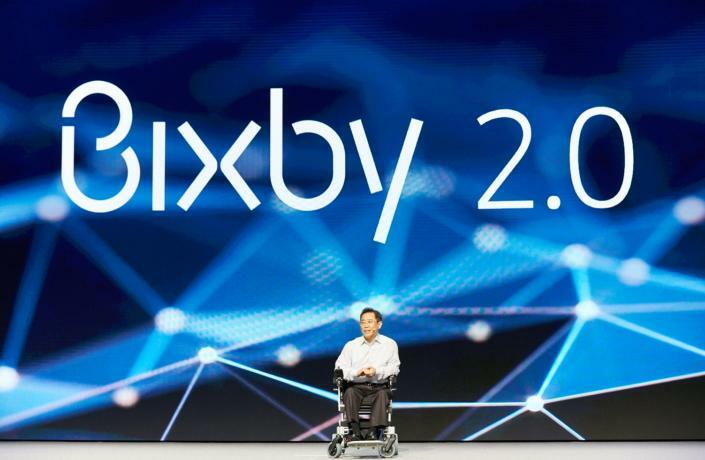 As part of this, Samsung announced Bixby 2.0. Bixby 2.0 will also introduce new deep linking capabilities, and enhanced natural language abilities, enabling a more predictive and personalized experience that better anticipate the needs of users. In addition, the upgraded voice assistant will be available on more than just smartphones this time around. Samsung say users will be able to access the voice assistant on products like Samsung's Smart TVs and Family Hub refrigerator. Samsung also demonstrated Project Ambience, a new dongle/chip that can be easily integrated with devices to enable Bixby connectivity. The SDK for Bixby 2.0 will be available to select developers through a private beta program, with general availability coming in the near future. Samsung also announced a partnership with Google that will see them bring ARCore-based augmented reality experiences eventually become available on Samsung Galaxy devices.